As I discuss in the article, we can understand the 10/90 as a piece of supply and demand. At the same time as Lionsgate was searching for content they could sell into a local syndication market starved for multi-camera sitcoms not being valued at the broadcast level, channels like TBS were branching out into original programming and looking for shows that matched their syndicated offerings. The 10/90 model means TBS makes minimal financial investment in something that could help build an original content brand, draw advertising dollars, and build a foundation for future development. With Lionsgate and distributor Debmar-Mercury (a wholly-owned subsidiary) offering a relatively low license fee and embracing the deficit in deficit financing knowing the possible pot of gold at the end of the atypically short rainbow, it made lots of sense for TBS to invest in the model in 2006. It was a distinct investment as well: although more or less comparable to the 10/90 model that we now know, the first ten episodes were a test-run on local stations, which included WTBS in Atlanta (the local broadcast station from which TBS programming on the national channel originates, and which in 2006 had not yet changed its brand affiliation away from the national channel). Based on the test run, Debmar-Mercury made the deal to move forward on the 100 episodes of the series, bringing on TBS as the originating channel for the new episodes before they would then go onto air in local syndication on broadcast stations. It was considered a huge step forward for independent producers bypassing the broadcast networks as the traditional gatekeepers of the TV industry, and was also TBS’ first major foray into original comedy programming. But if you look at the three series, you might notice the downward trend: whereas the two Tyler Perry series earned additional orders, the order for Meet The Browns was smaller, and Are We There Yet? was stopped at 100, with the later episodes of the series strip scheduled in daytime as opposed to primetime. As noted in the piece, this is because TBS had purchased syndication rights to The Big Bang Theory: the cheaply made minority-skewing sitcoms, while valuable to TBS in a moment where they were building an original comedy brand and needed content, were suddenly limiting compared to the broad-skewing CBS sitcom with high-production values and built-in brand recognition, which TBS used to help boost Conan ratings as it struggled to find a late night foothold. There are two discussions to have here. In the article, I explore how this indicates the fundamental instability of this development model. There simply becomes a point in time where the type of show that the 10/90 model creates—broad multi-camera comedies designed for a syndication market and produced at absurd speed regardless of episode quality—is no longer productive for a cable channel building a brand identity, which is a big part of why it was never going to work long-term for TBS or FX. However, the other takeaway from the TBS experience is that they joined the list of nascent channels that used minority audiences to establish an advertising base for original programming before abandoning that audience when the chance to appeal to a wider—read: white—audience emerged. Much as Fox abandoned African American audiences once they earned NFL rights (which Alfred Martin wrote about with regard to TBS back in 2012), and in the same vein as how The CW slowly but surely erased the legacy of UPN from their channel brand after merging that channel with The WB, TBS switched its focus away from serving African American audiences distinctly in the purchase of The Big Bang Theory repeats, leading Tyler Perry to shift to OWN, a channel more willing to appeal to a “niche” audience given its relative infancy in original scripted programming (and, comparative to TBS, an ownership/management structure specifically invested in the representation of African Americans in its programming). 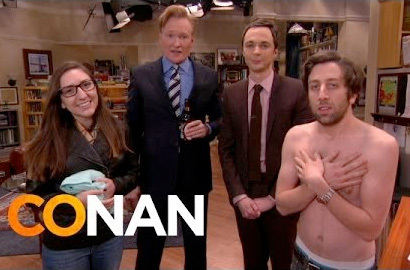 As for why TBS made this choice beyond seeing the potential to draw a larger audience around a figure in Conan O’Brien with an audience very distinct from that of its African-American-led sitcoms, we could also consider the shifts in the balance of the local and national in the TBS brand. In late 2007, the local station—serving Atlanta, with a majority African American population—was separated from the cable channel, meaning that there was no longer the same incentive to narrowcast to the local market in the city, which is not coincidentally also where the two Tyler Perry sitcoms filmed their nearly 400 episodes combined. Whether or not this strong appeal to the local market was a major factor in their choice to partner with Debmar-Mercury in the first place is somewhat speculative, but there is no doubt that TBS’ relationship to their local market changed between 2006 when the series was test-run and in 2012 when they effectively ended their partnership with Debmar-Mercury. 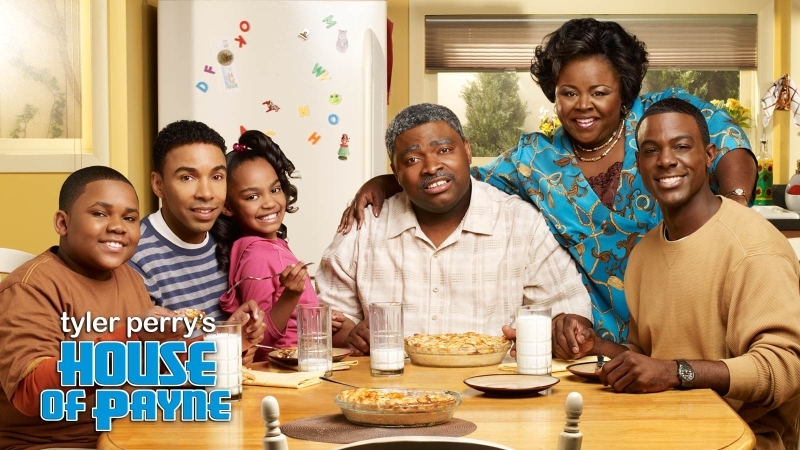 In the case of Lionsgate, though, they obviously saw financial value in the syndication market for series that focused on African American families, even after the point where TBS no longer saw such value. Their success even inspired other independent producers seeking to bypass traditional gatekeepers, as the model was also adopted in part by Byron Allen’s Entertainment Studios in its move into scripted programming with African American-led first-run syndicated sitcoms Mr. Box Office and First Family (which were effectively canceled, according to Wikipedia at least, due to Allen’s financial problems). And yet despite the seeming appetite for these shows within the after-market, Lionsgate’s diminishing returns at TBS itself clearly put them in a position where they felt they needed to adjust their formula to broaden their prospective audience base, and to adapt to the needs of other cable channels like FX that are already unlikely to take on programming that’s aimed at appealing to minority audiences. This isn’t to say they haven’t been engaged with appealing to minority audiences during the FX period: in the initial announcement of Saint George’s debut, Debmar-Mercury Co-Presidents Mort Marcus and Ira Bernstein’s pullquote makes specific reference to Lopez’s “broad appeal and strong following from the rapidly growing Hispanic audience,” displaying their “eye on the prize” approach to minority audiences who are increasingly becoming less of a minority. You can see the same logic functioning in Partners, which pairs the industrially “broad-skewing” Kelsey Grammer and the “niche-skewing” Martin Lawrence to try to find a way to directly hail underserved minority audiences (and the local stations that serve them better than the broadcasters providing their primetime programming) while nonetheless maintaining the broader appeal they see as necessary for the series to connect with audiences outside that niche (or at least give that hope to the channel ordering the series). However, in the development of a model that bypassed the broadcast networks where programming featuring all-minority casts has effectively disappeared, the 10/90 model had the potential to be a huge step forward for minority audiences. And yet because the model still depends on having an initial cable partner to license and air the episodes, Debmar-Mercury has begun the same process of broadening their audience base as what happened at Fox, and at UPN/The CW, and at TBS, with the cable channels simply becoming a different kind of gatekeeper. While there is evidence that they still see the model as a way to appeal to growing minority audiences that the broadcast networks have been slower to embrace—although ABC is starting—there is also plenty of evidence that the model is shifting away from the kind of shows that were being ignored by major studios, and toward projects like the proposed Kevin James 10/90 project that still doesn’t have a home.